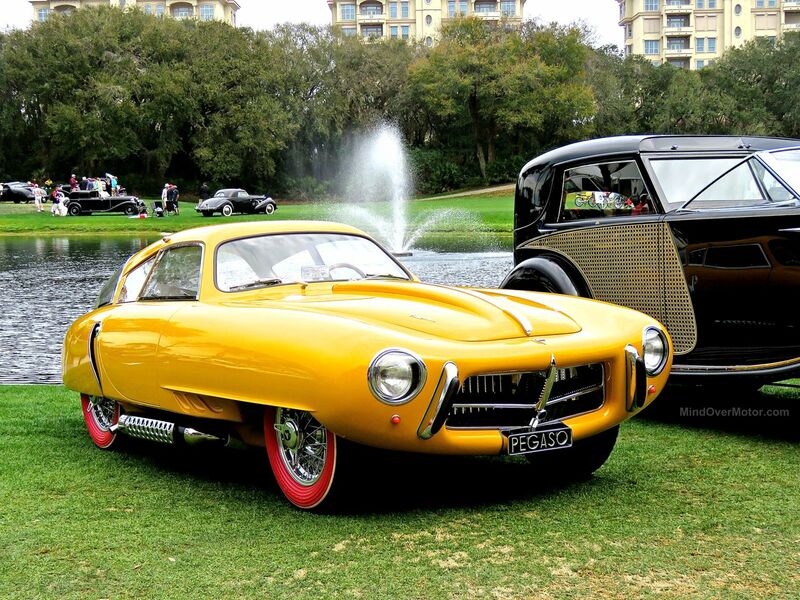 During the 1950’s Spanish auto manufacturer, Pegaso, built a line of world-class sports cars, the Z-102. With powerful engines, a racing-derived chassis, and cutting edge technology for the time, the Pegaso Z-102 was a serious contender. Top Z-102 models, equipped with a 360 hp supercharged V8, were capable of 155 mph, making them the fastest sports cars in the world for a time. A bonafide supercar, top-spec Pegaso could out-run the Ferraris of the era, and even the mighty Mercedes 300SL. 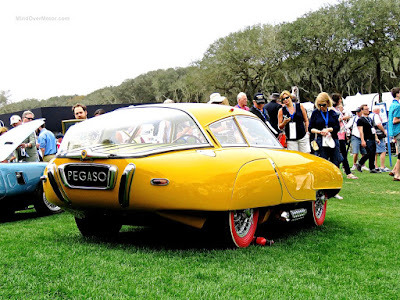 Just 86 Pegaso Z-102 sports cars were produced between 1951 and 1958. The cars were built on a “cost no object basis” alongside the larger Pegaso production of other types of vehicles. As you might expect, the sports car program quickly became a financial drag, and had to be shut down at a certain point. The jaw-dropping 1952 Pegaso Z-102 “Cupula Coupe” featured here is one of just two examples built, and the only one known to survive. 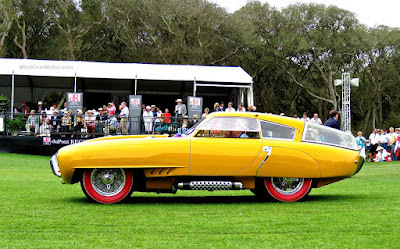 It won Best in Show, Concours de Sport at the 2016 Amelia Island Concours d’Elegance, and it absolutely stunned the crowds. 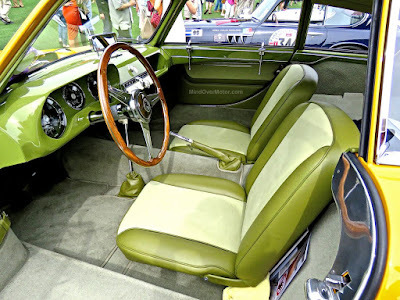 The color scheme seems unique and maybe inspired by the condiments at a hot dog stand, a mustard yellow exterior, a relish green interior, and ketchup red-wall tires. This Pegaso Z-102 Cupula Coupe was showcased at the 1953 World Motor Show, held at Madison Square Garden in New York City. It was then bought by the President of the Dominican Republic, Rafael Trujillo, and was given the nickname 'El Dominicano.' Since then, the car has been restored to pristine original condition.